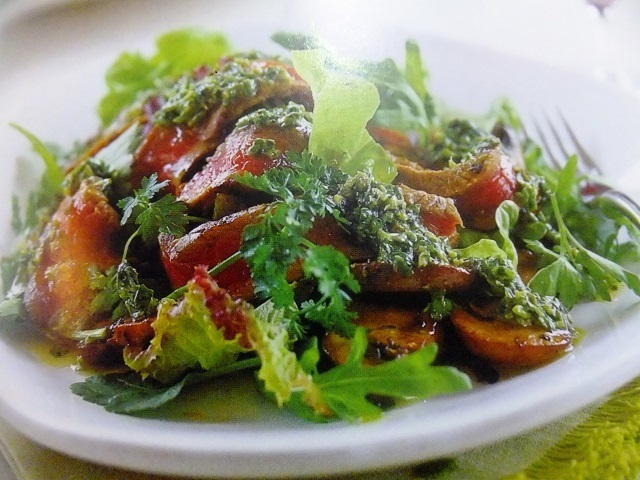 How to make 4 people grilled beef salad with mushrooms salads? 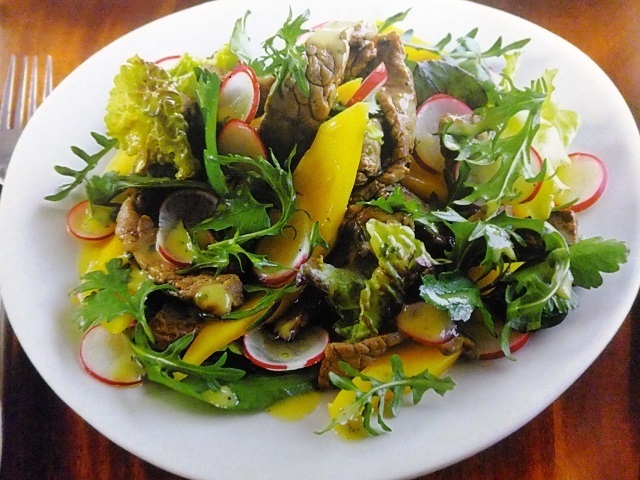 Grilled beef salad with mushrooms salad recipes and ingredient shared on our page. 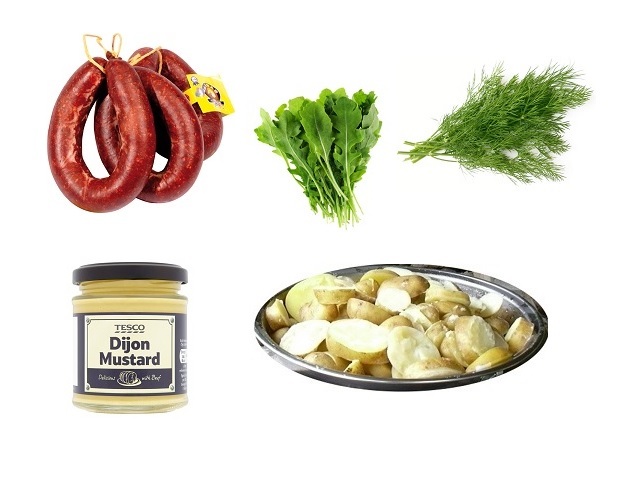 Put the capers, garlic, mustard, parsley, basil, 5 tbsp of olive and some black pepper in a small food processor; whiz to make a coarse puree. Thickly sliced the mushrooms. Heat a large griddle pan over a high heat. Brush both sides of the steaks with some of the remaining oil and season with pepper. Cook for 1-2 minutes on each side (they will be pink inside) pressing them on to the pan with a fish slice. Remove to a plate. Add the mushrooms to the griddle along with the rest of the oil, if needed, and cook for 4 minutes, tossing now and then. Slice the beef and sprinkle with sea salt. Toss the beef with its juices, the mushrooms, salad leaves and dressing together in a large bowl and serve with warm, crusty bread. Your enjoy meal!